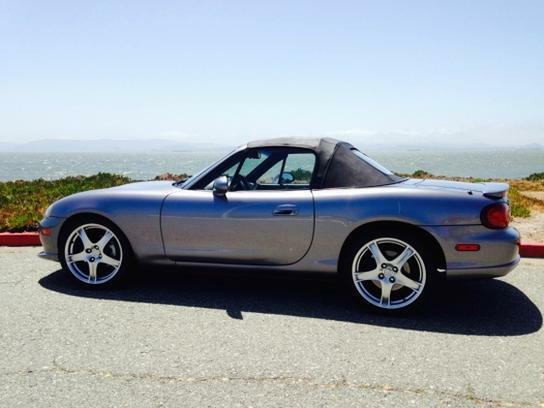 I am selling my 2005 Mazda Miata MX5 (mazdaspeed). Second owner, very clean car- inside and out. No accidents, never raced or abused in anyway. Always had scheduled maintenance done. Very rare color combination - gray mica w/ velocity red interior. Many add-on's and upgrades: racing hart wheels, roll-bar, Bose stereo-system, and more. Asking $11,500.